From her earliest days, scientist Marie Curie fought to gain acceptance as a woman in a man's world. She excelled in all academic areas, and earned a degree in physics as well as two degrees in mathematics. 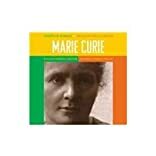 Curie is best known for her groundbreaking work in the field of radioactivity and X-ray technology.